I love sitting out on my patio, typing from a soda pdf software and sharing reviews with you. And beautiful topiary and plants just make everything better. Luscious palms and other greenery can make your patio, porch and outdoor spaces so much more comfy. I want to share with you a source of awesome potted plants and greenery that require no maintenance. 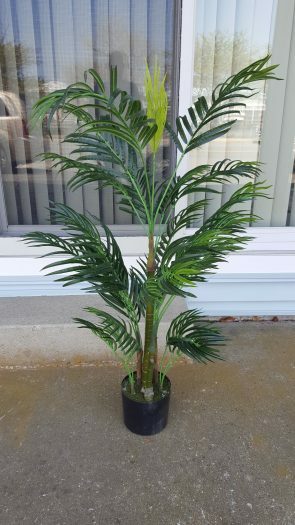 I was recently sent a sample of a palm tree plant that just looks awesome on my patio. 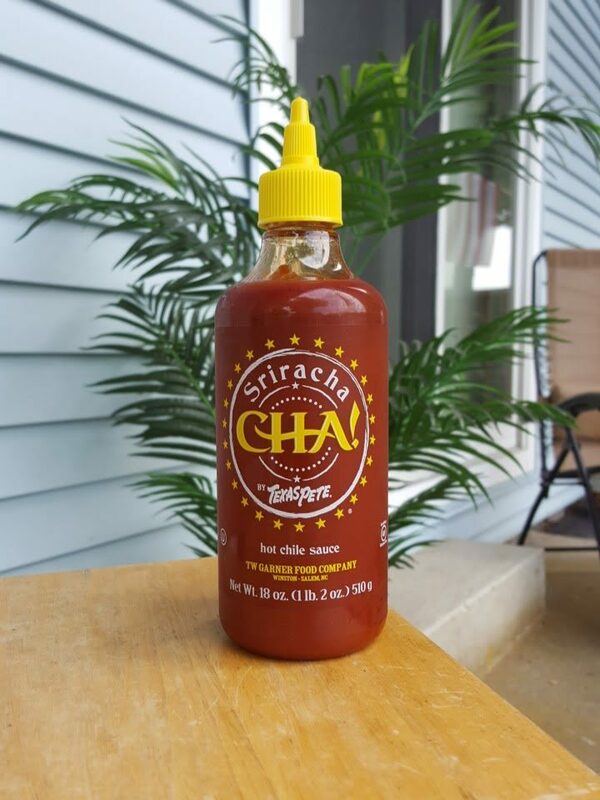 Yes, I love my hot sauces. I love my BBQ. I love my tech gadgets. But I also love my home and environment. 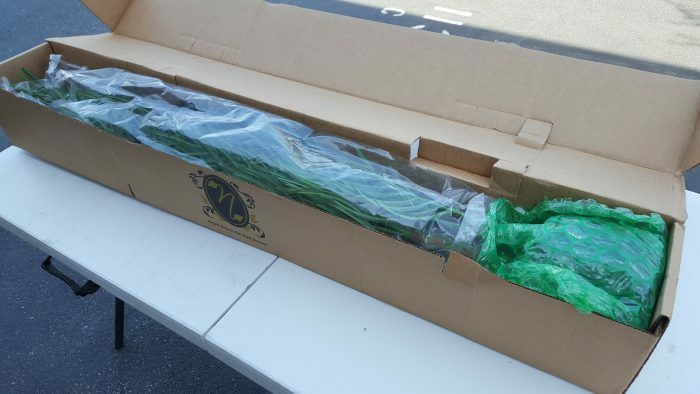 So let me tell you about a great place to find beautiful artificial plants that are reasonably priced and maintenance free. 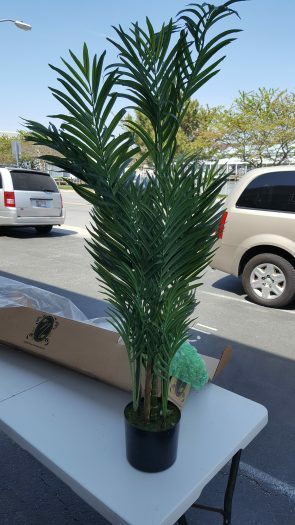 The palm plant that I’m showing you is a beautiful example of the product that this company produces. It has graced my outdoor patio for a few weeks now and passersby have commented on it more than a few times. From afar they find it hard to believe it’s artificial. This particular palm is so well made. The base is heavy and sturdy and ready to be set into any pot or ground that you have available. *** UPDATE *** Use coupon code BLOGGER10 to save 10% off your order! 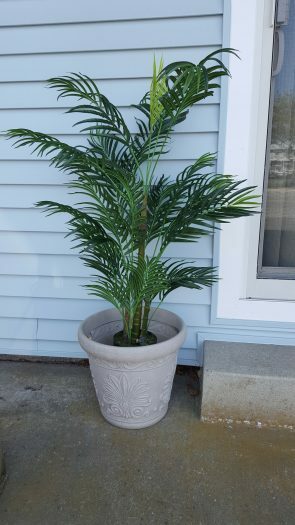 I’m so happy with my palm – it really makes my patio nicer. Here is the box you get. Nicely packed. Inside is the beautiful plant ready for you to enjoy and display. 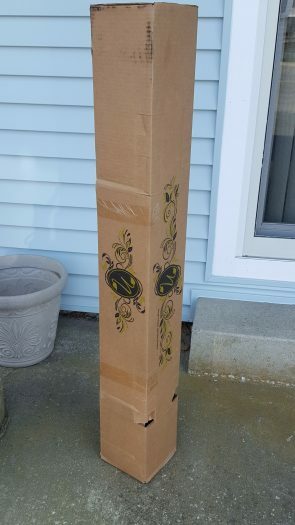 You’ll need to open it up and shape it for the best appearance. 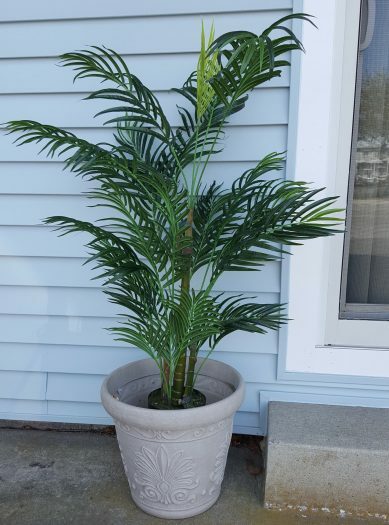 I’m very happy with the quality and appearance of the PermaLeaf Palm Plant.